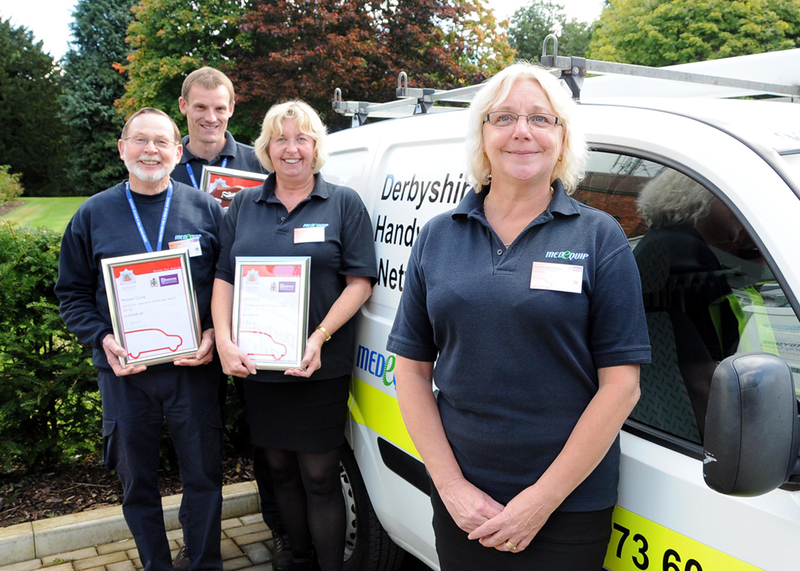 At the annual Derbyshire Handy Van Service Awards, held this week at the Derby Fire and Rescue Service HQ the Medequip Team picked up the award for Runner Up in the Provider of the Year award for the second year running. There was also special recognition for two members of the Team with Andy Street winning the Operative of the Year Award and Michael Curtis coming in a close second and winning Runner Up. 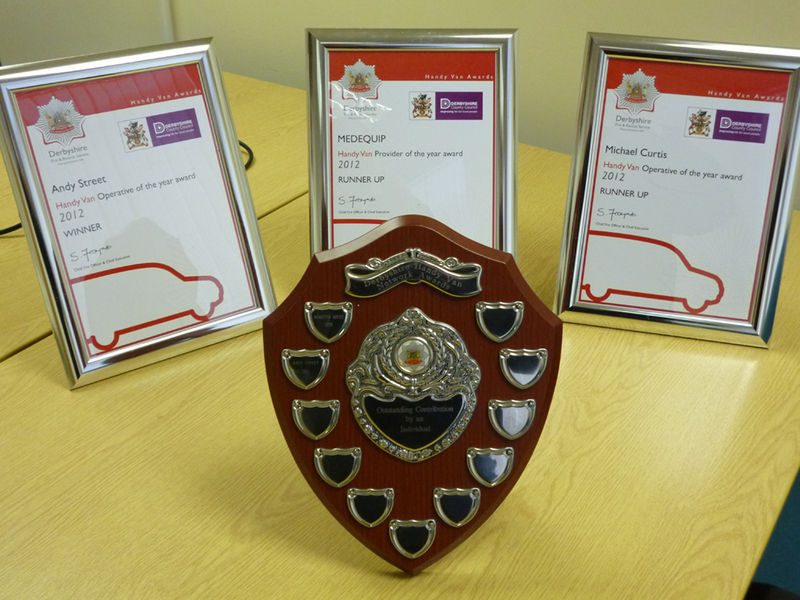 We would like to thank Andy, Michael, Pauline Dennison and Sally Federolf for the hard work and commitment to making this an award winning service – congratulations to you all.